Photos from the 2018 New York Collegiate Baseball League (NYCBL)/Atlantic Collegiate Baseball League (ACBL) All-Star Pre-Game Warm Ups held at the Onondaga Community College Turf Field in Syracuse, New York on Monday, July 9, 2018. Browse through the Gallery to see all the photos or use the Search link above to find specific players and/or teams who participated. If you have any questions, use the Contact link to send Scott Thomas Photography an email. 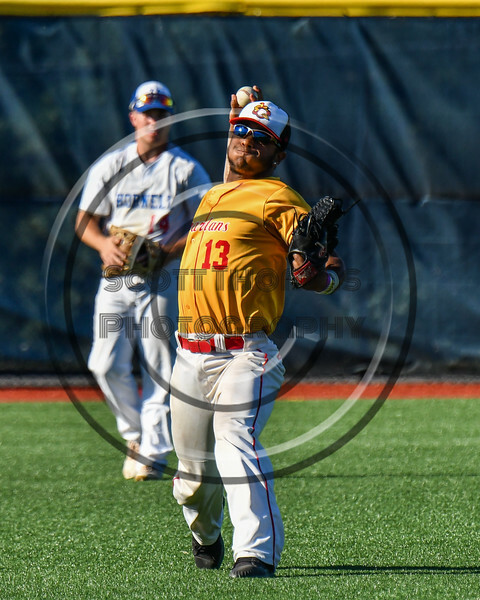 Syracuse Spartans John Mesagno (13) warming up for the New York Collegiate Baseball League (NYCBL)/Atlantic Collegiate Baseball League (ACBL) All-Star Game at the Onondaga Community College Turf Field in Syracuse, New York on Monday, July 9, 2018.